The Tiger in the Smoke is an extraordinary book! Margery Allingham transports the reader to unexpected places in a novel that is steeped with a pervading sense of menace and foreboding. Set a few years after the end of WWII, London is struggling under a blanket of heavy fog. The fog is like a character in its own right; creating fear and distrust among the population. Into this gloom, Jack Havoc (by name and by nature) has escaped from prison and is ruthlessly pursuing a treasure hidden during the war in France. However, I didn’t find Havoc as terrifying as the band of misfits and damaged returned soldiers, led by the albino character ‘Tiddy Doll’, who stumble through the fog begging and playing discordant music. The sense of malevolence and madness created by this band of ‘freaks’ was disturbingly palpable. I was reminded of Graham Greene’s Brighton Rock and the terrifying character of Pinkie. This book is more than a crime novel. It is a study in good versus evil, and in what war does to men, and for that matter, to a city’s population. Allingham’s characters, particularly the saint-like Canon Avril, ponder the big questions about life and its purpose; about making moral decisions and what part luck plays in the hands we’re dealt. Although this is part of the Albert Campion series, you don’t need to have read the others in the series to enjoy this highly recommended novel. 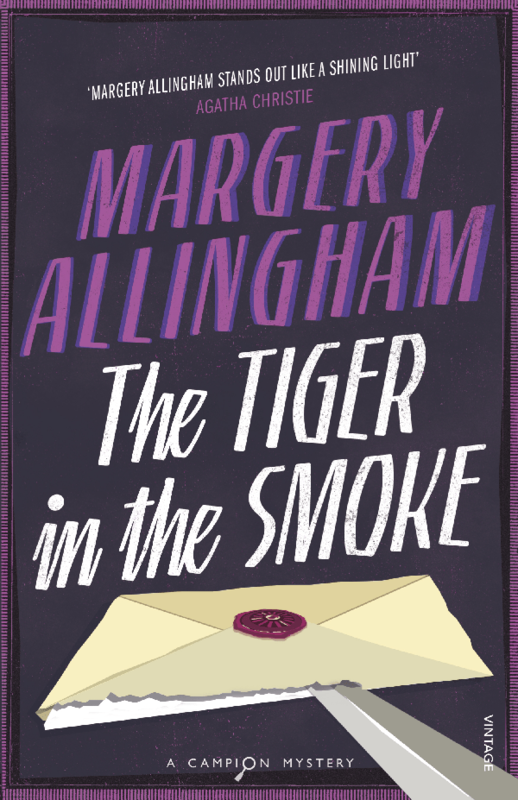 Find The Tiger in the Smoke by Margery Allingham in the Library Catalogue.